Sabeel organized for our friends and partner at Menonite Central Committee a 3 hour tour in Jerusalem. During the tour we visited the village of LIfta, the French Hill settlement and the Sabeel office. 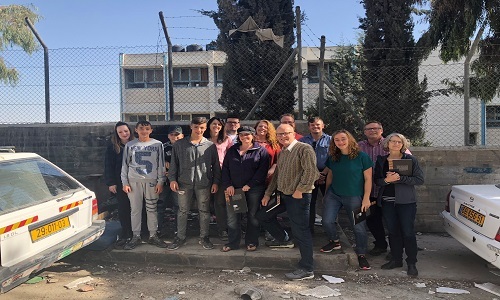 The high light of the tour was meeting three young children from the camp and listen to their stories. Prayers and reflections were read at a very stop we made.